The EUR/USD currency pair keeps moving inside the descending channel, one can consider selling it with the tight stop near the level of 1.3390. 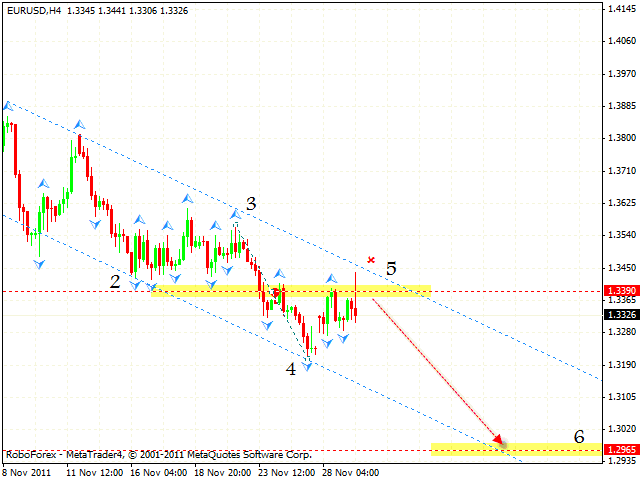 The final target of the fall is the area of 1.2965. If the price breaks the upper border and leaves the channel, this case scenario will be cancelled. Canadian Dollar is testing the rising channel’s lower border, one can consider buying the pair with the tight stop below 1.0240. The final target of the growth is the area of 1.0710. We recommend to increase the amount of long positions only after the price breaks the level of 1.0375. if the price breaks the channel’s lower border, one should stop buying the pair. 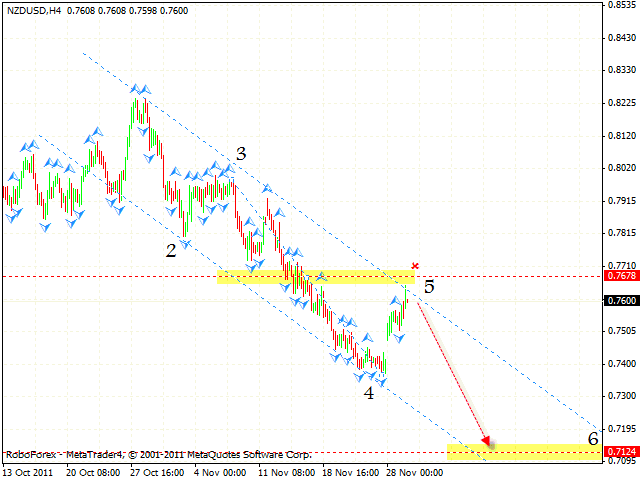 New Zealand Dollar is still being corrected inside the descending channel. 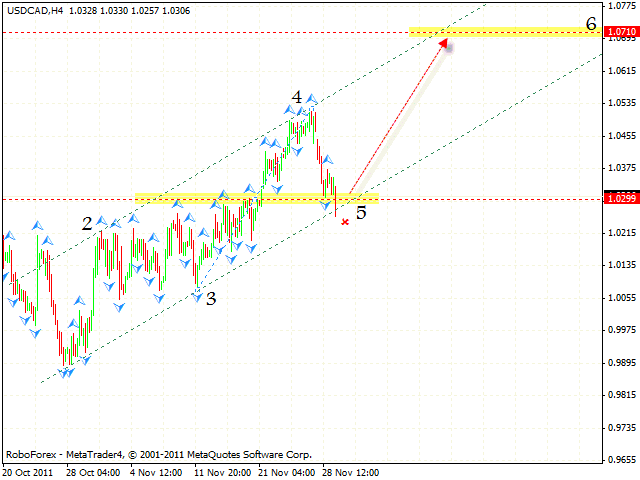 Currently the price is testing the channel’s upper border, one can consider selling the pair with the tight stop. The final target of the pattern is the area of 0.7124. One can consider selling the NZD/USD currency pair with the tight stop and increase the amount of short positions only after the price breaks the level of 0.7505. 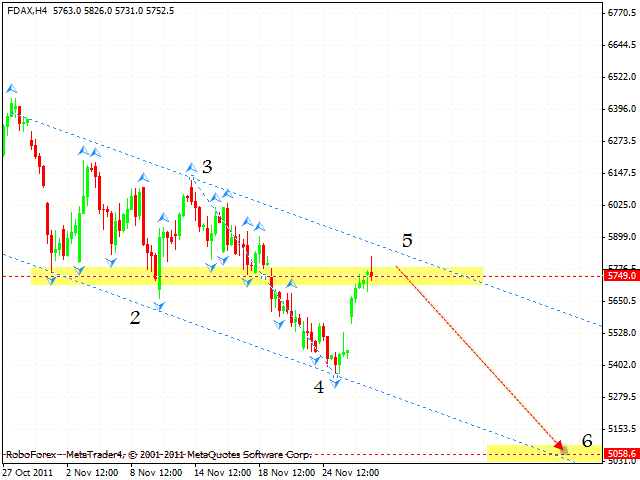 DAX is moving according to the forecast. By now the price has almost reached the area of the 5th pivot point, which is expected to be a starting point of the fall. One can consider selling the instrument with the tight stop above 5900. If the price fixes itself below the channel’s upper border, this case scenario will be cancelled.